The Metanoia Project | The Africa Centre | Proud of our past. Passionate about our future. 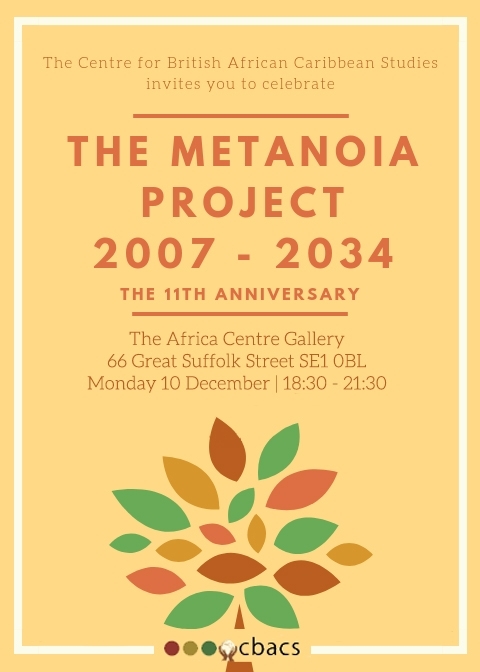 The above event celebrates the 11th anniversary of The Metanoia Project in the countdown to 2034. The host is Dr Gloria Gordon, 2002 National Teaching Fellow and founder of the Centre for British African Caribbean Studies (CBACS). Also being celebrated is the 70th Anniversary of International Human Rights Day. The presentation theme ‘Clipped Wings Can Fly Again’ explores, with you, the idea that Africa IS the answer to the world’s problems.